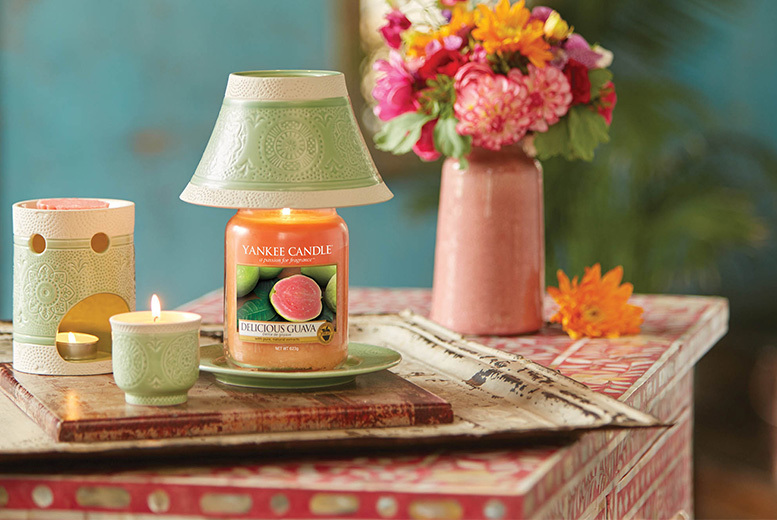 Get a delicate scented candle with vintage tray and shade set! For beautiful flickering light and a tempting fragrance. Delicious guava scented candle. Set will fit any medium or large Yankee Candle jars. Perfect for anywhere in the home.